The vehicle was unveiled at the 2009 Frankfurt Auto Show. Sales will begin in mid-2010 in Europe with MSRP of €177,310 (including taxes) and in the United States in mid-2011 for less than $200,000. 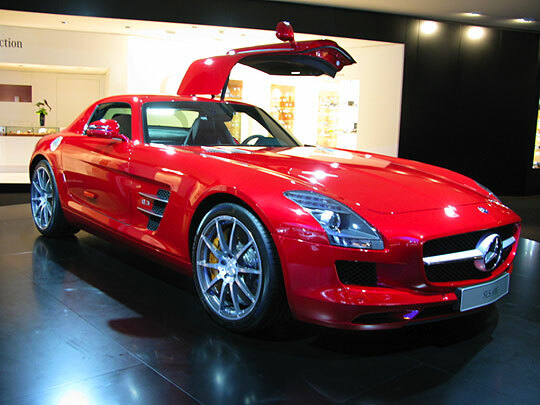 Promotional advertisements of the SLS AMG have also begun airing in India as well from April 2010. The SLS AMG is featured as the cover car for the upcoming PlayStation 3 racing game Gran Turismo 5, and is the safety car for the 2010 Formula One season. Standard transmission is AMG SPEEDSHIFT DCT 7-speed dual-clutch semi-automatic transmission through a lightweight carbon fiber driveshaft. Selectable driving modes include "C" (Controlled Efficiency), "S" (Sport), "S+" (Sport plus) or "M" (Manual). A true manual transmission is not available. 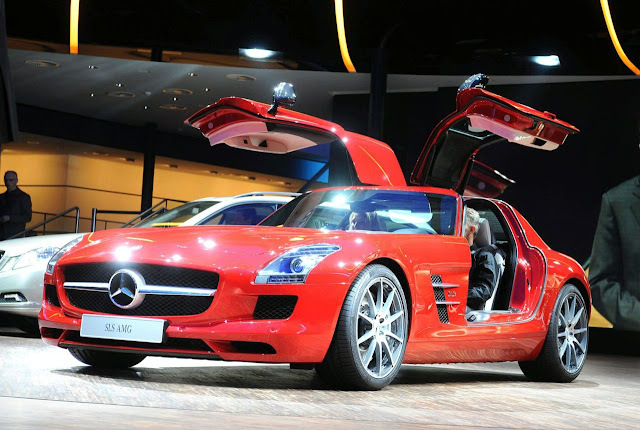 Optional on the SLS AMG are carbon-ceramic disc brakes. These brakes provide increased stopping power with a 40% weight reduction compared to the standard brake system. The fuel consumption of the SLS AMG is around 13 L/100 km (22 mpg-imp; 18 mpg-US) combined driving according to (NEDC, provisional figure). Yeah! 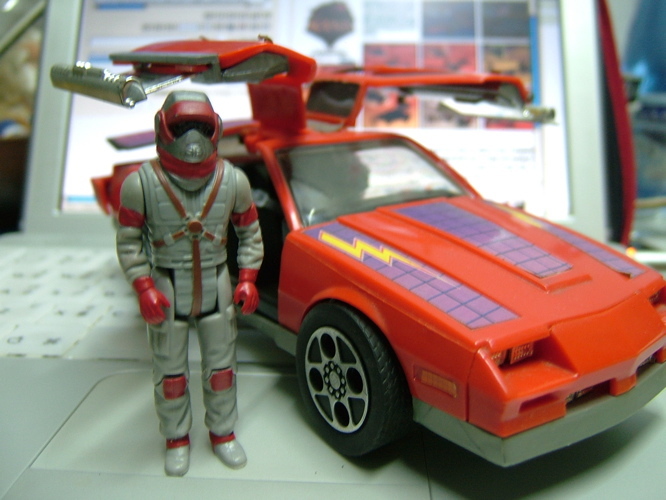 it is the toy Thunderhawk from cartoon Mask. We eere very crazy about this in the 80s when we were still kids.